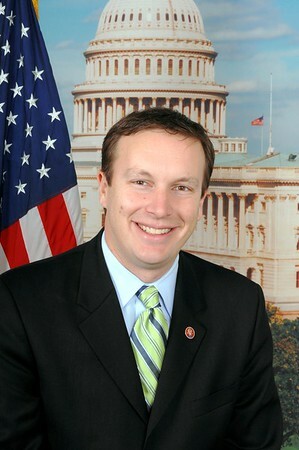 NORTH BRANFORD - U.S. Sen. Chris Murphy announced Monday that his manufacturer of the week is Prime Technology, an electronic systems manufacturer. Prime Technology was founded 45 years ago in Mount Vernon, New York. In 1982, the company relocated to its 36,000-square-foot North Branford facility. In addition, the company has a 20,000-square-foot facility in the Dominican Republic. That facility opened in 1986 and handles commercial manufacturing. Prime Technology is privately owned. It manufactures precision instruments and systems to create military, commercial and nuclear products. The company has developed an engineering department with a 3-D modeling and design capability. It has also created a vertical manufacturing operation that can undertake various manufacturing procedures. “Connecticut manufacturers continue to prove they are the best at what they do. Prime Technology’s work can be seen around the globe, and their products are used to keep us safe. I’m proud to highlight them,” Murphy said. The company has a mission of designing and manufacturing electronic systems through innovative engineering. Prime Technology is a member of the Submarine Industrial Base Council, the Naval Submarine League, and the American Society of Naval Engineers. “Prime Technology is a proud partner with the Navy and defense contracting in Connecticut. Other small businesses that benefit from this market include over 600 companies employing thousands of people with good paying skilled jobs,” Keith Macdowall, Vice President of Prime Technology, said. The customer base of Prime Technology includes Electric Boat, the U.S. Department of Energy, L-3Communications, Rolls Royce PLC, Huntington Ingalls Industries, and the Naval Sub Base of New London among others. The business, located at 344 Twin Lakes Road, has been given a contract to make a tank level indication system (TLI) based on the adaption of the company’s tank level measuring system, model 9211. To learn more about Prime Technology visit primetechnology.com or call 203-481-5721. Posted in The Bristol Press, General Business on Monday, 27 August 2018 20:36. Updated: Monday, 27 August 2018 20:39.